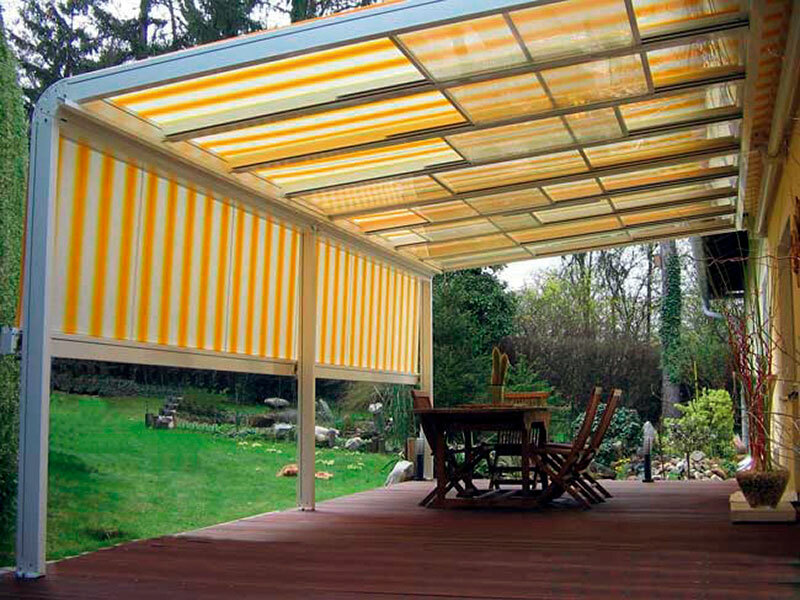 Your Expert Partner in Sun Protection! 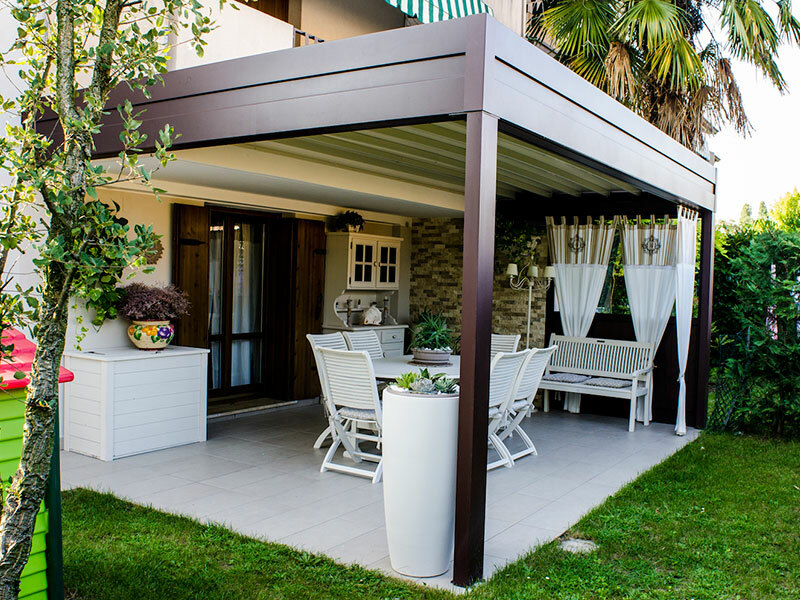 Many people decide on winter gardens because of raising fruits and vegetables, but to reach a real effect it is worth protecting them with shading devices.In summer it is the best solution against strong sunshine and the glass house effect may be dangerous for the plants.Winter gardens used as living rooms also need shadings and the same device can be used on your terrace.You can choose mobile ones that can be manual or motorised. 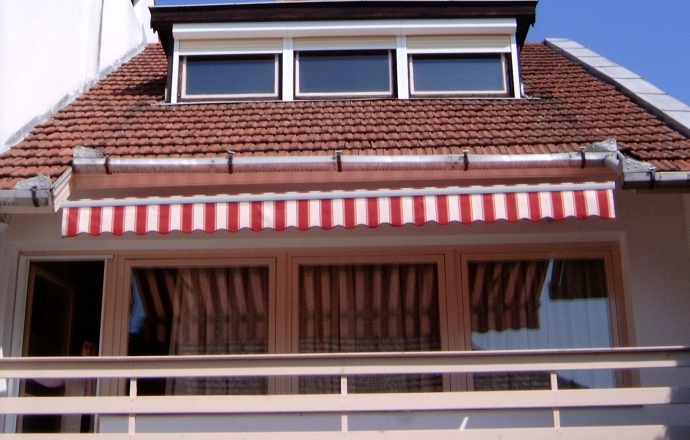 The most popular among the solar shades is the lateral arm awning. 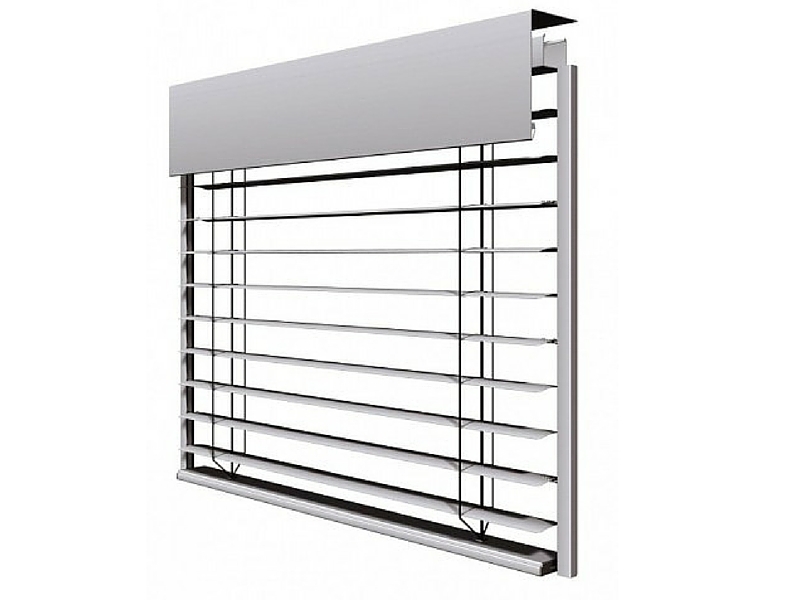 It is ideal for shading gardens, shop windows, patios, restaurant terraces as well as for balconies or the terraces of private houses.It can be mounted onto the wall, the lintel or the window and with the help of a cantilever onto any fix structure.There is a wide range of colour and fabric to choose form to suit your taste. 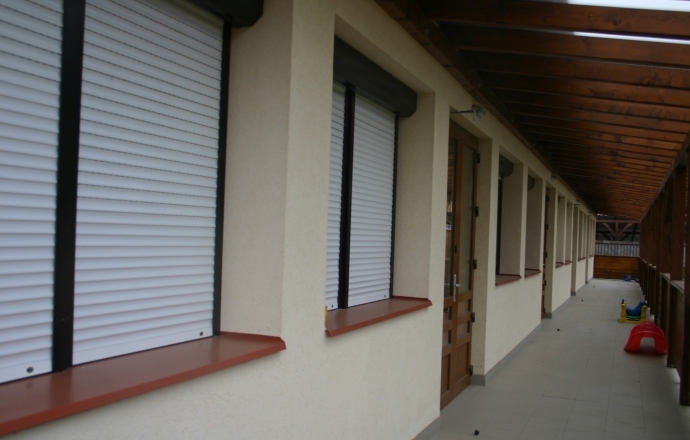 They are UV stable with an impregnated finish.It can be driven manually with a crank or with a motor for which extra sensors such as wind, and light sensors can be ordered to make operation even more convenient. 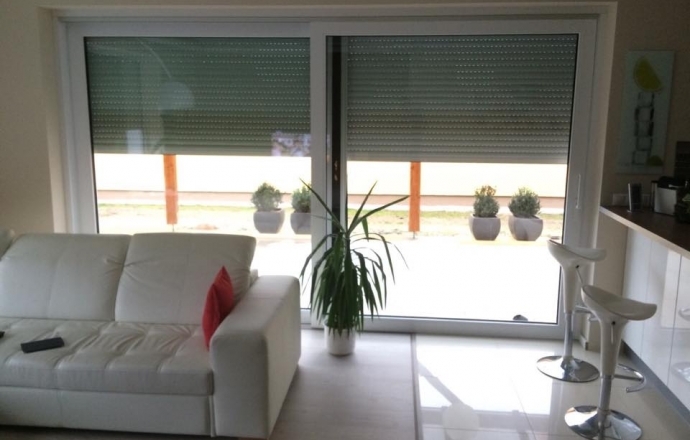 A very exclusive shading system that is suitable for shading of factory and office buildings, however it is getting more and more popular on widows of modern newly built private houses. 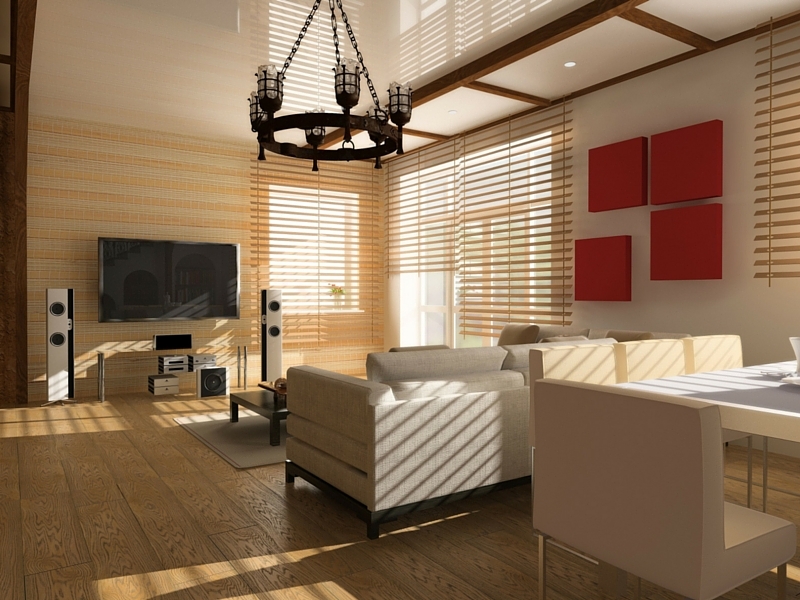 Beside shading, noise- and wind-protection, its greatest advantage is that its laths can be moved separately, so the angle of the laths determines how much light comes through. It can be manually or electrically driven. In case of electrical drive the wind-, light-, temperature-detector and the automatic timing function make its use even more convenient. 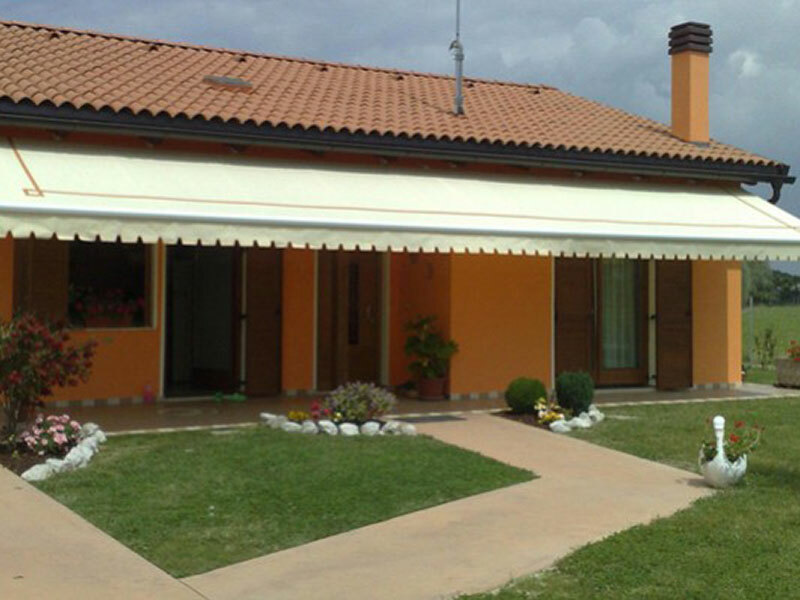 Best choice for your balcony if you wish to have a stable shading in good or even bad weather.You can choose a mobile one that needs to be installed in case of good weather.It can be formed according to your needs, as all our products. 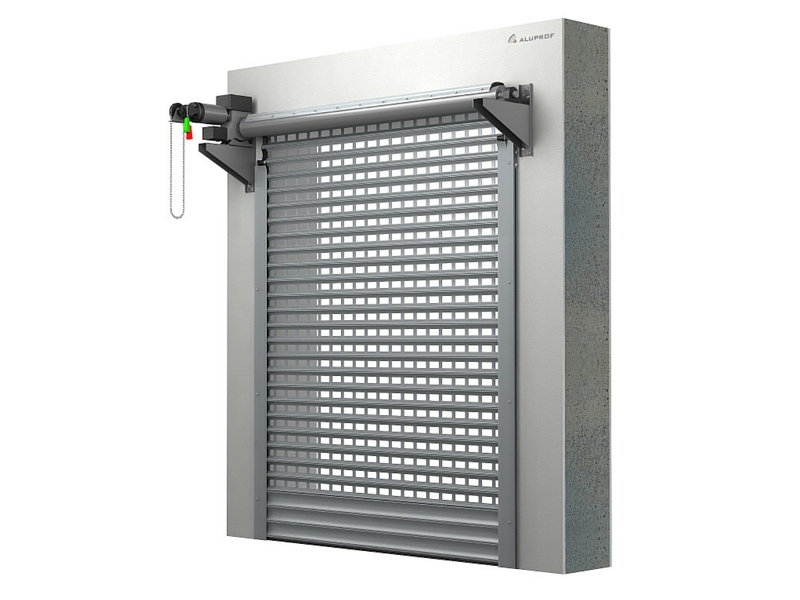 Security roller shutter grids provide effective protection for shops or shop windows. Their advantage is that they are transparent and have a push-up defense system. Your shop window can be visible after closing time in total shine and security. 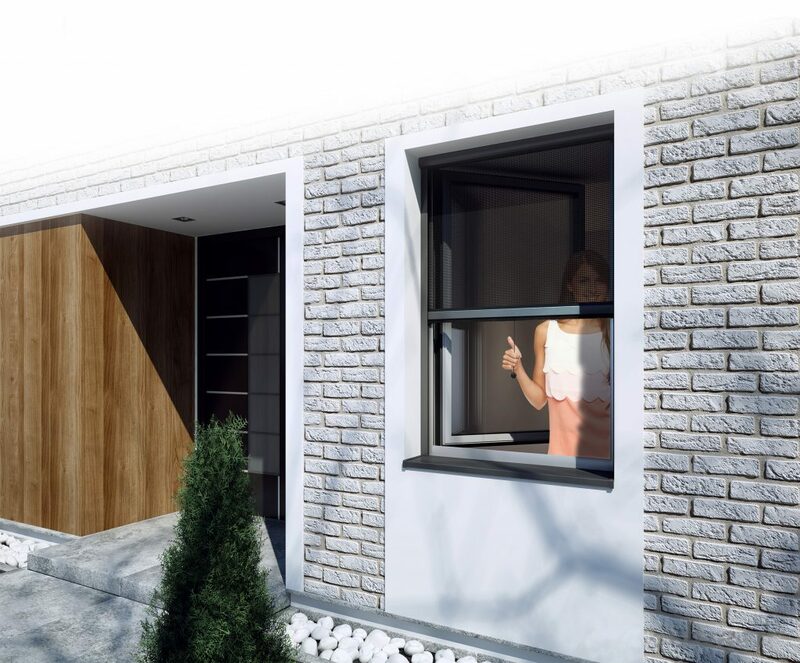 The structure is simple and space requirement is optimal. 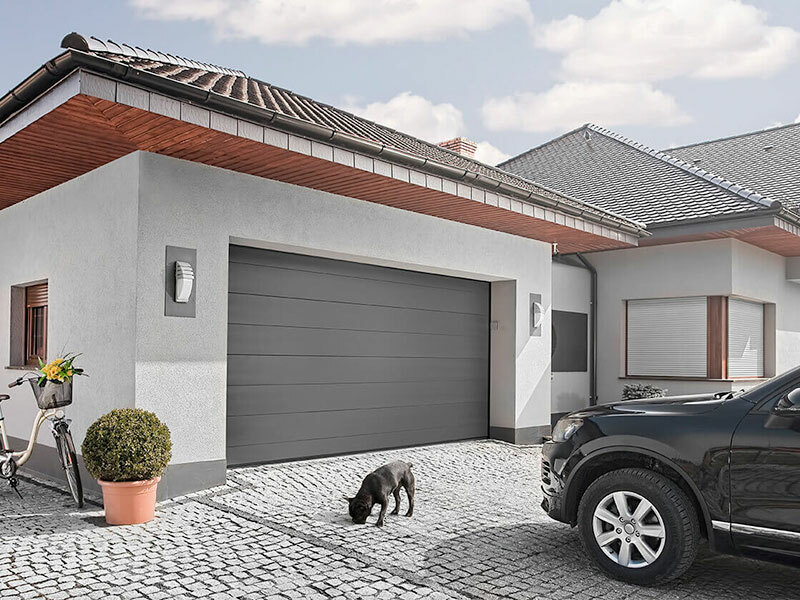 Very trendy nowdays we can see them more and more.We can offer them not only for residential buildings but also for warehouses.A Roller door is perfectly suitable for closing large openings. 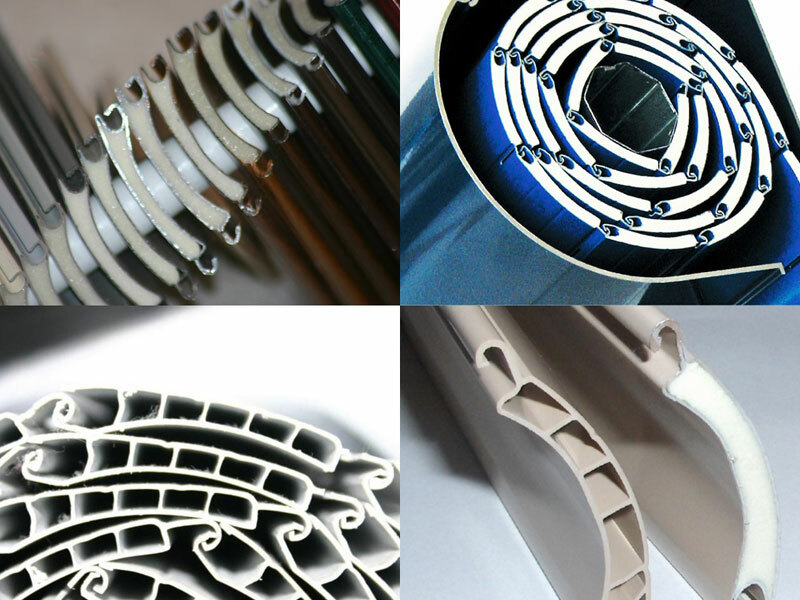 It is made of aluminium laths filled with polyurethane foam which are typically 55 or 77 mm. It can be practically winded up on a roll tube which is hidden in a headbox. It can be either manually or motor driven. The motor driven types come with a manual crank that can be used to operate the structure in case of a powercut. 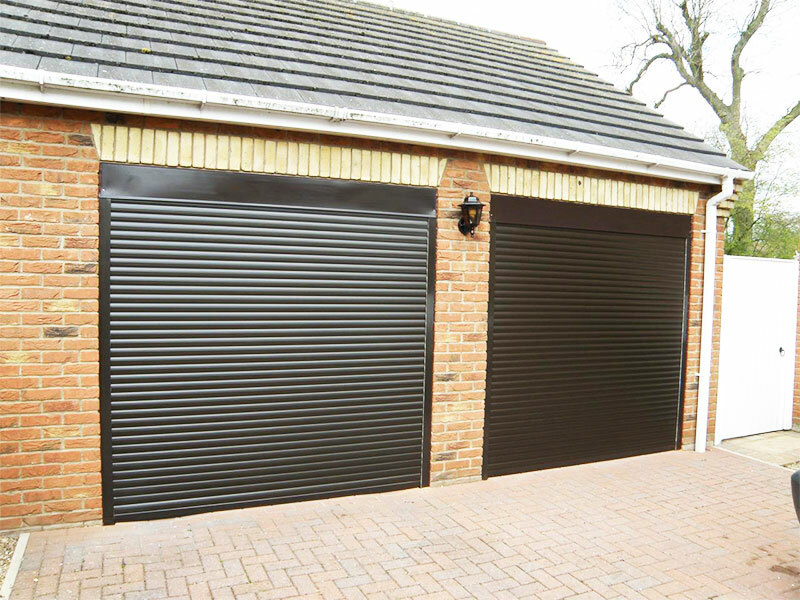 Selecting a garage door is for a long term, so it is not all the same which one you choose.It is worth thinking it over extensively taking your car and other valuables in the garage into consideration.Security of our clients is of prior importance for us.In case of current and power failures our garage doors can be moved easily!During manufacturing we watch the exact measurements very strictly to prevent any problems and failures later on.Garage doors are easy to handle,safe,with long term garantee and have excellent insulation values to spare more amounts.